FuturLab's Velocity 2X is exactly the kind of indie game that the Switch needs right now. Don't think I'm complaining for a minute, but I have more than enough slow and plodding Metroidvania games on Nintendo's console to keep me busy throughout the rest of the generation. Right now, I just want to shoot some aliens in the face and speed through levels faster than light. 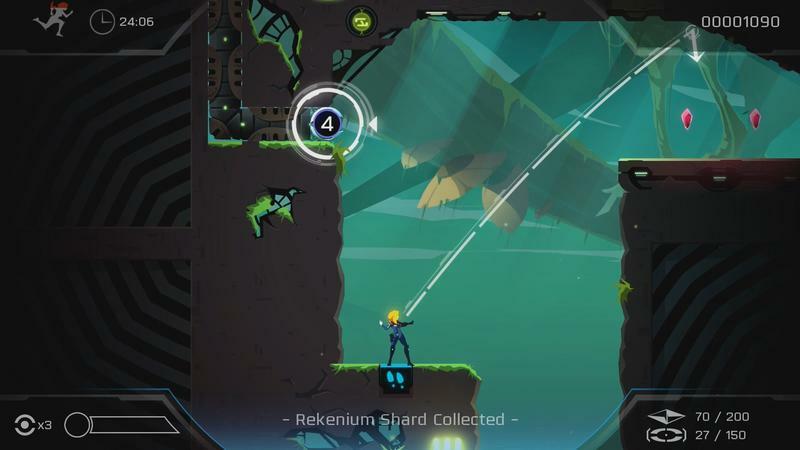 Velocity 2X delivers on both fronts and then some. A brief history first since we haven't officially reviewed one of these games yet. Futurlab's Velocity series got its start as one of the most popular PlayStation Mini games on the PSP. 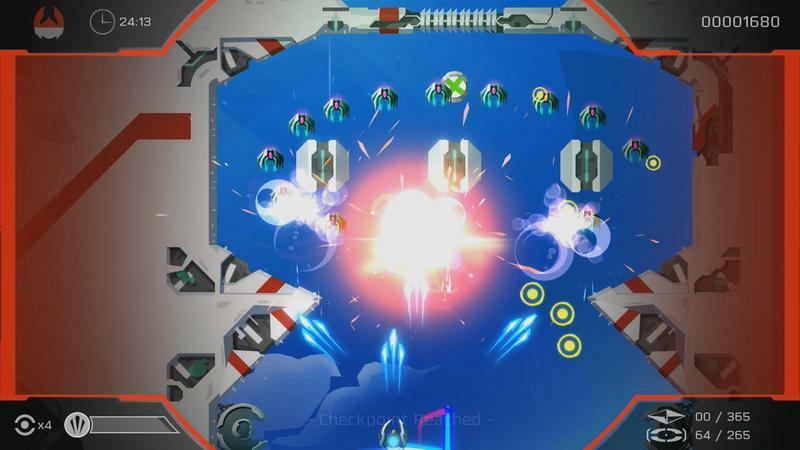 The game is stylized after classic SHMUP arcades with a heavy emphasis on speeding through levels with maximum efficiency. 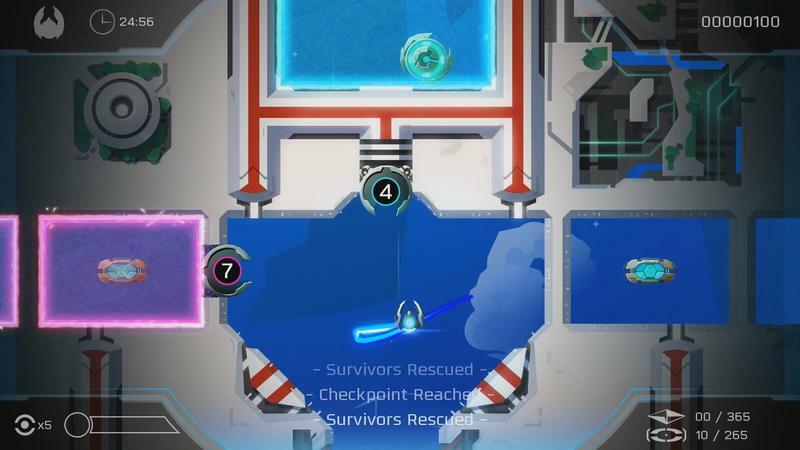 Mechanics like teleportation and booster thrusts seamlessly blend together for quick navigation, urging the player to shoot down enemy ships, dodge through walls, and rescue survivors all within an allotted time limit. Only, beating a level is not enough in Velocity. Perfecting a level and securing that ever-important gold medal is only way to obtain true victory. 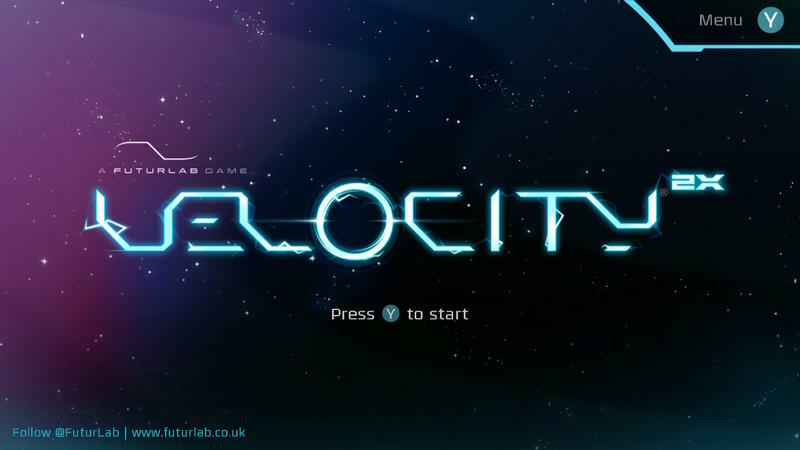 Velocity proved popular enough to get a remake called Velocity Ultra on the PS Vita, PlayStation 3, and PC in 2013, and the remake scored enough fans to lead into Velocity 2X, the game we're reviewing now. You've been able to buy it on the PS Vita, PlayStation 4, Xbox One, and PC since 2014, but I have no qualms with saying that it fits comfortably enough on the Nintendo Switch for it to be the ideal platform. Thanks to the Switch's home console and handheld nature, the fast pace of Vel0city 2X can be enjoyed on your 87-inch Ultra 4K television just as easily as it can be played from the palm of your hand. The Switch is all about those options. 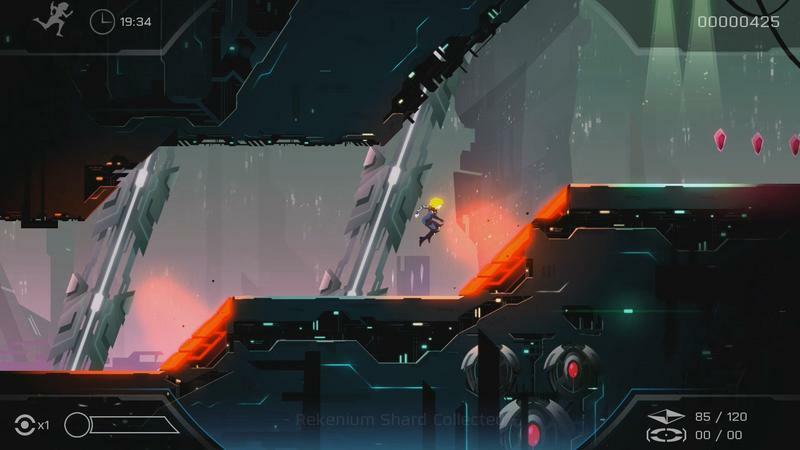 Velocity 2X is a perfect sequel to its predecessor, taking the simple concept of blazing through a level at maximum efficiency and layering more mechanics onto the formula in a way that feels totally natural. 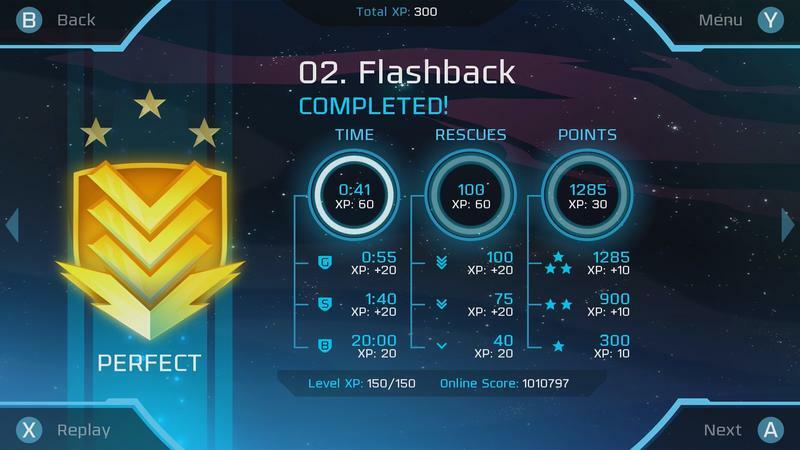 The result is 50 levels of blazing action and complex levels that will take players of any skill level multiple playthroughs to memorize and nail perfectly. The largest difference from the original game is that it no longer features just classic SHMUP style levels. 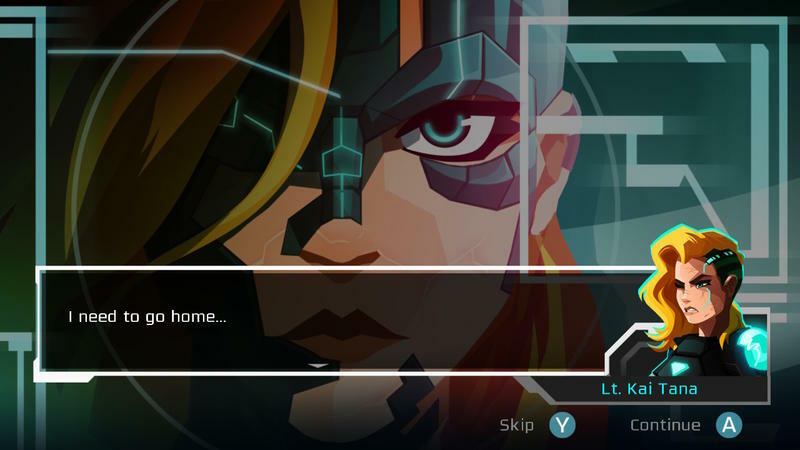 Velocity 2X adds an entirely new scope for players to mess around in, that being a run 'n' gun style not unlike classic Contra games. This new viewpoint opens up the potential for new mechanics, new platforming elements, new methods of combat to use against alien scum, new puzzles, physics, and weapons to design levels around. And all this is content is added in addition to the original SHMUP levels, which also get an overhaul with new weapons and mechanics. Twin ships that control as if they are mirrored off one another, intense and intelligent bullet hell boss fights, everything you need for a perfect shooter. I'll admit, Velocity 2X is very hard to get settled into. 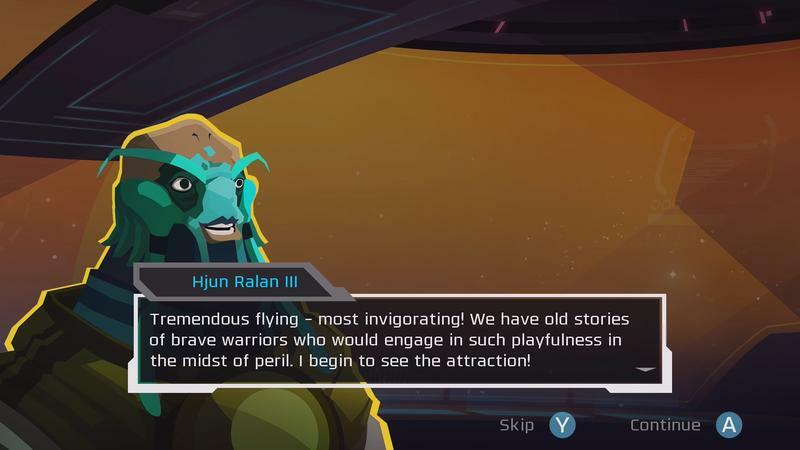 There are a lot of mechanics for players to get used to all at once given the speed of the game, and feeling the "flow" that Futurlab wants you to feel isn't going to come so easily. Practice will have to make perfect here, and after slogging through the intro levels, memorizing the a level or two, getting that first gold medal after rescuing all survivors within the time limit, your motivation will start to kick in. 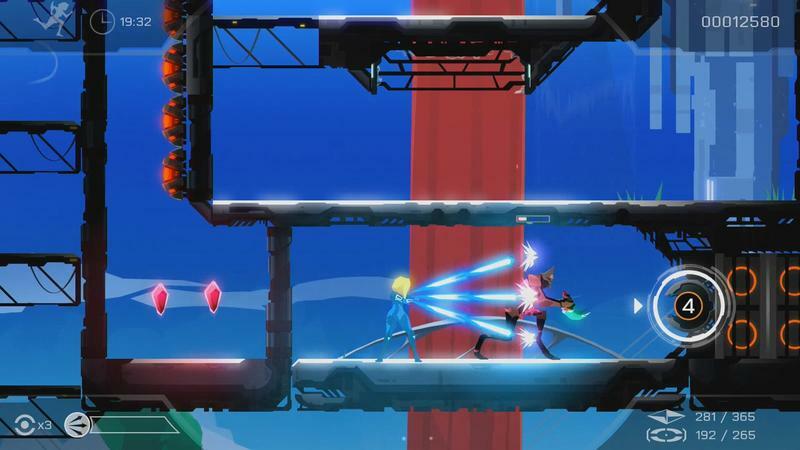 The flow will come to those who earn it, and when you hit that stride, Velocity 2X delivers that same rush and excitement as the arcade classic SHMUPS and run 'n' guns that inspired it. 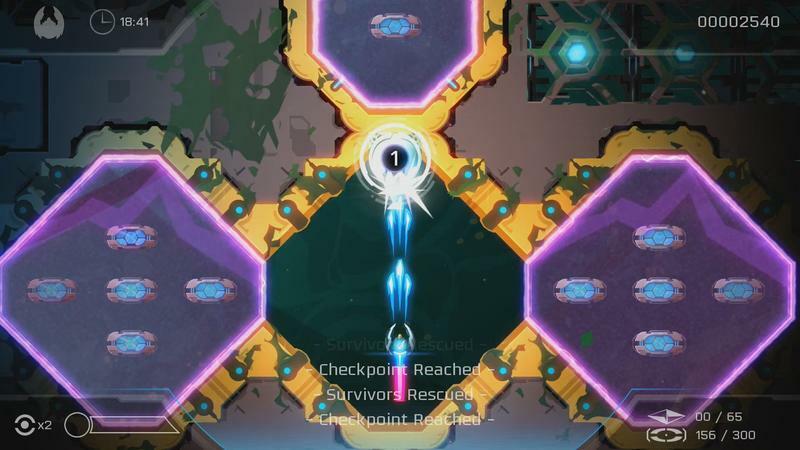 It's one of the most intense action games on the indie market to date, but unlike most arcade-inspired games that require little more than twitch skills and pattern memorization, Velocity 2X dares to be smarter with its level design and multiple objectives within each level. And thank goodness that it doesn't rely on randomized levels or procedural generation. Playing through levels carved to precise perfection feels so fresh in 2018. By the game's end, you'll hopefully have gathered enough gold medals to feel satisfied. 100 percent in Velocity 2X is only going to come to the most dedicated fan. Memorizing a level perfectly requires many attempts, flawless execution, and yes, inevitable heartbreak when you're one survivor short or a split second too late across the finish line. That's how arcade classics go, and in turn, that's how Velocity 2X goes. Victory comes to those who practice. It is not a guaranteed thing like in the AAA market. 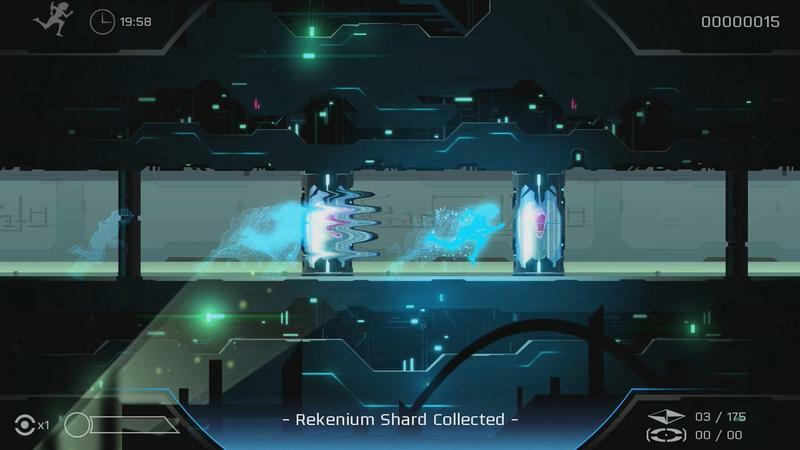 Futurlab also dresses up its layers upon layers of mechanics in a lovely sci-fi art style with brilliant graphic effects and a killer soundtrack. That goes without saying for some games, but it deserves a mention here. The soundtrack is the heartbeat of the Velocity series, and without it, it just wouldn't be the same. So, consider this a huge thumbs up for Velocity 2X. For a simple arcade game, it packs a ton of replayability and depth, and it never fails to deliver that arcade rush you're looking for. Whether you play it casually to beat the stages or play it to 100 percent, you're going to find a rewarding experience inside. The Switch release feels great with the HD vibrations and the option to swap between a television and the palm of your hand with ease. However, if you don't have a Switch and prefer other platforms, by all means, those should be just as viable as well. Disclaimer: We were provided a digital copy of Velocity 2X for the Nintendo Switch before writing this review.